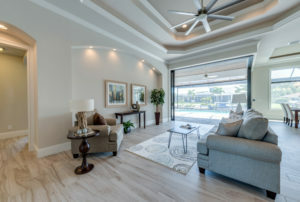 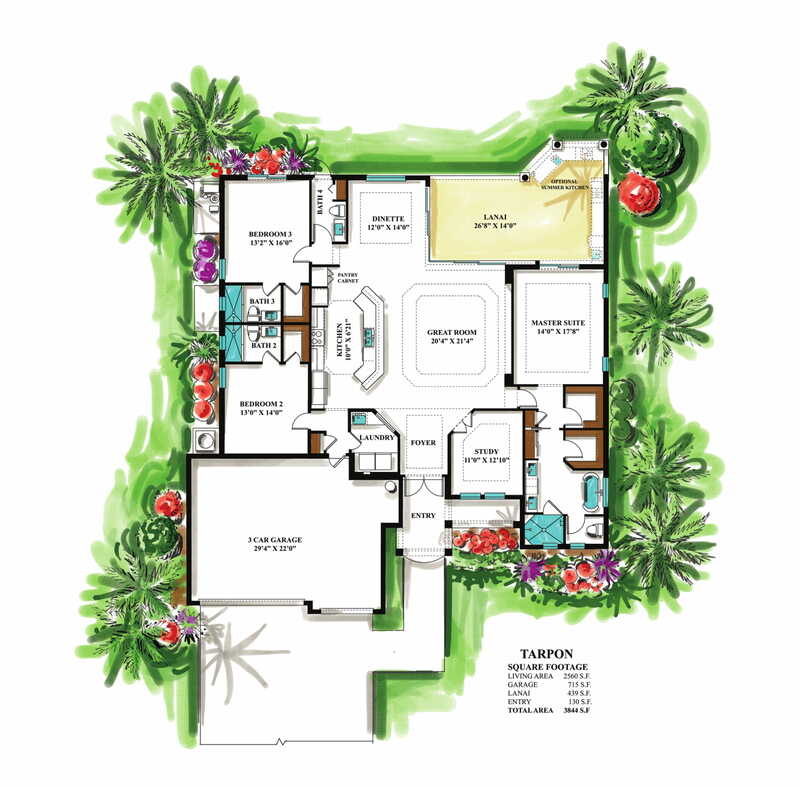 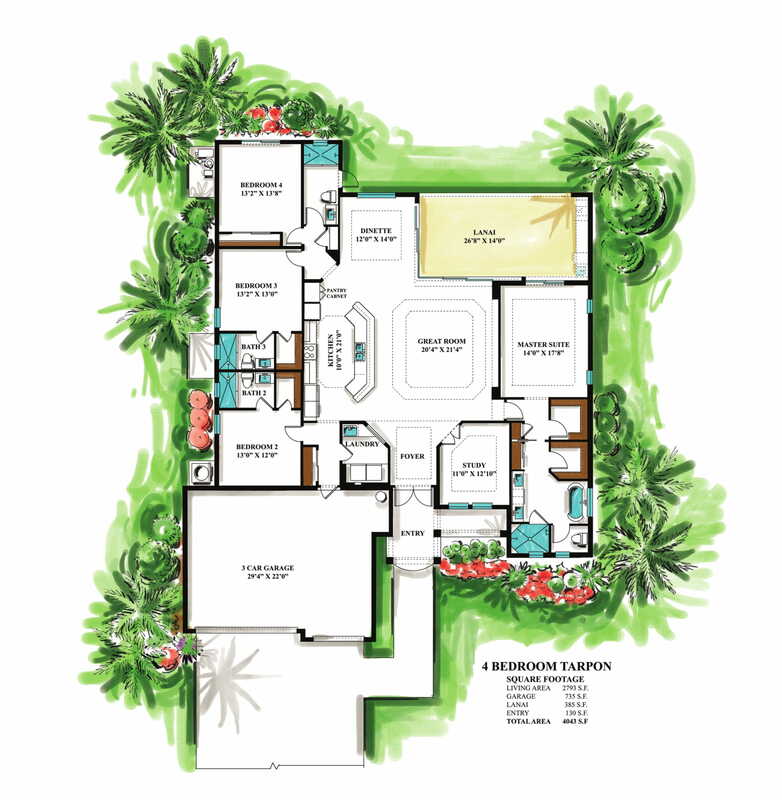 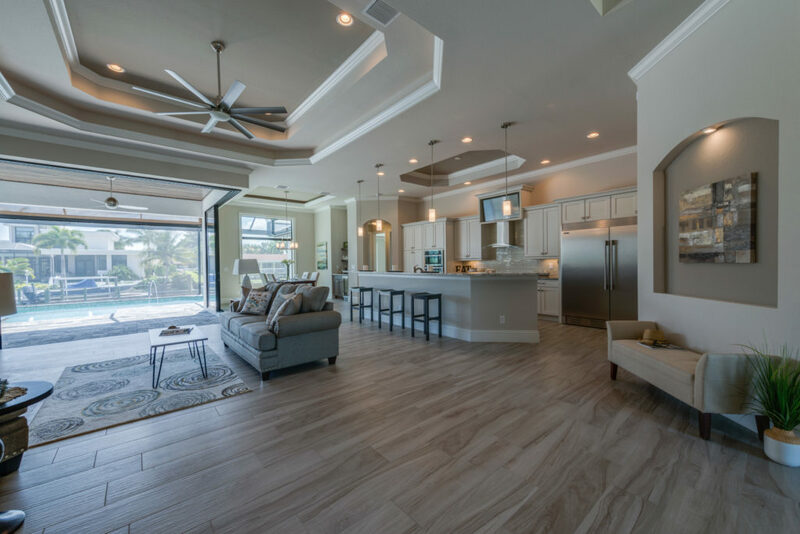 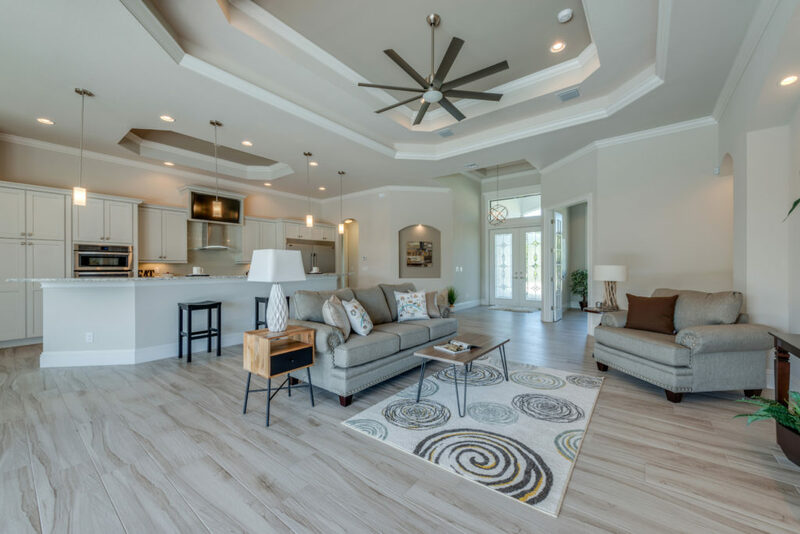 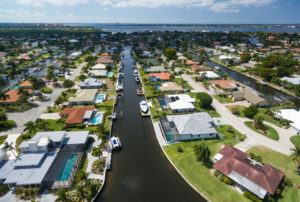 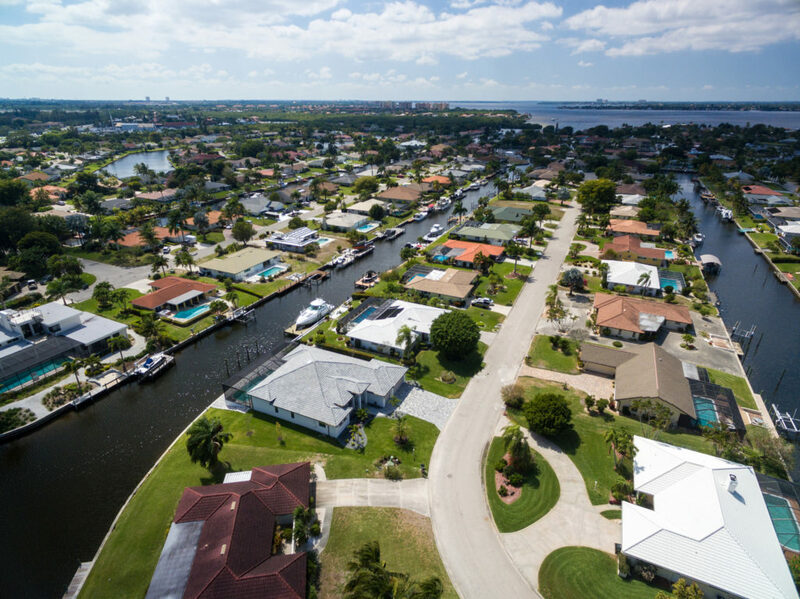 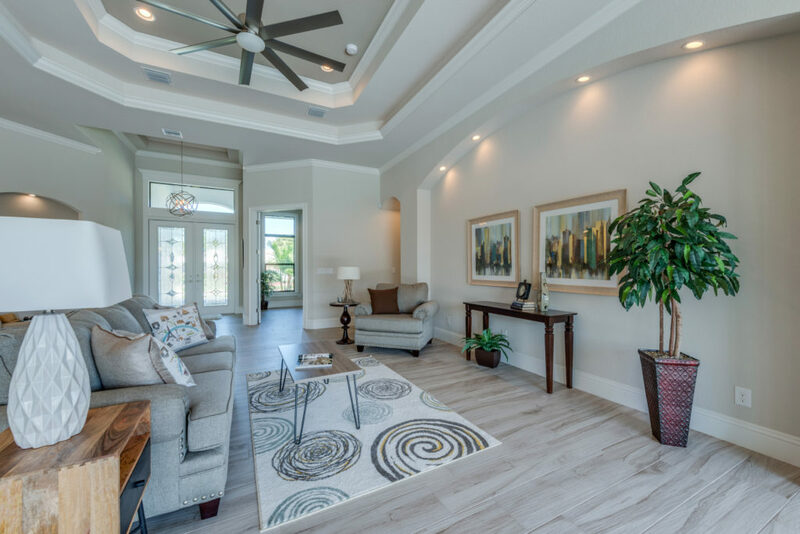 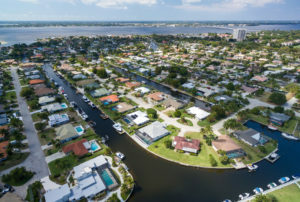 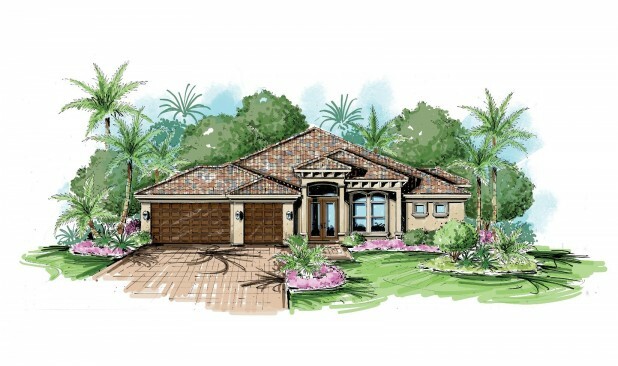 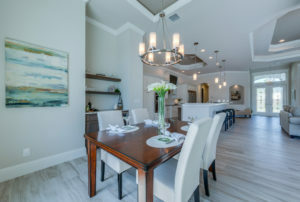 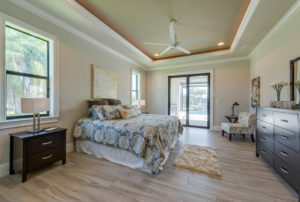 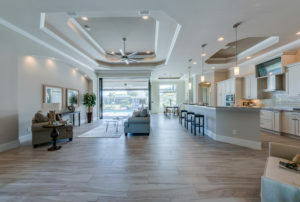 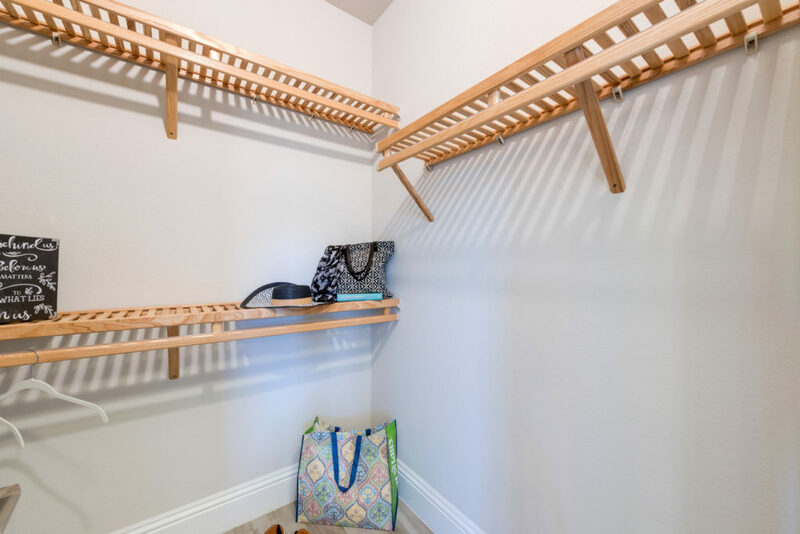 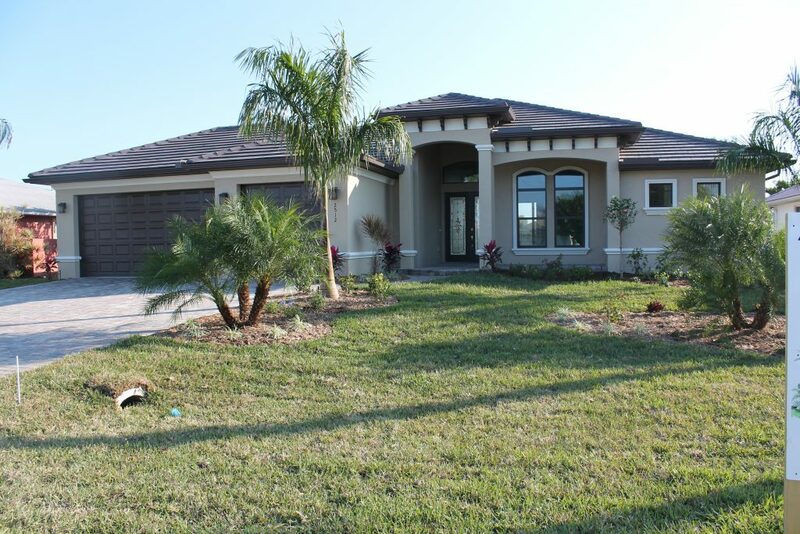 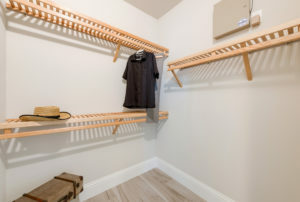 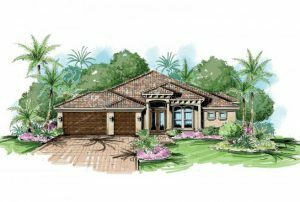 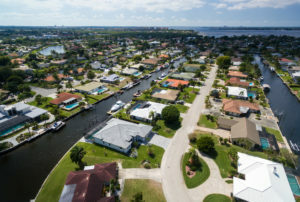 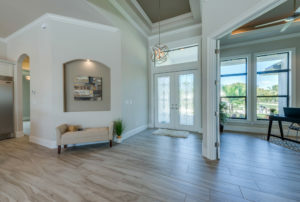 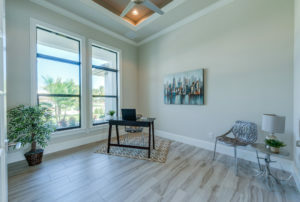 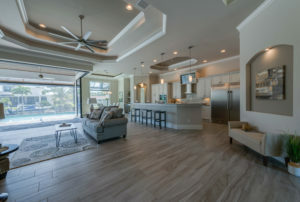 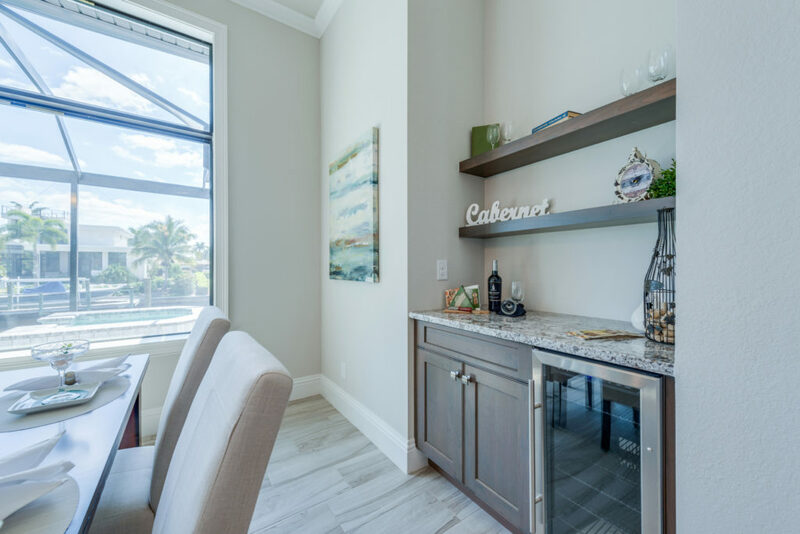 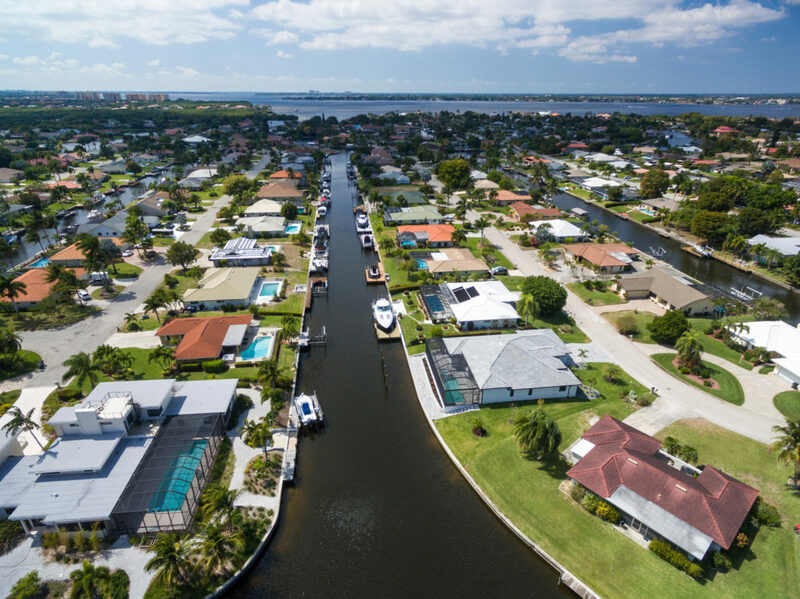 The Tarpon has everything a home can offer and more! 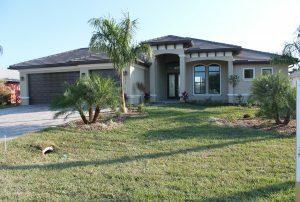 The home has a tile roof, impact windows, and a three-car garage. 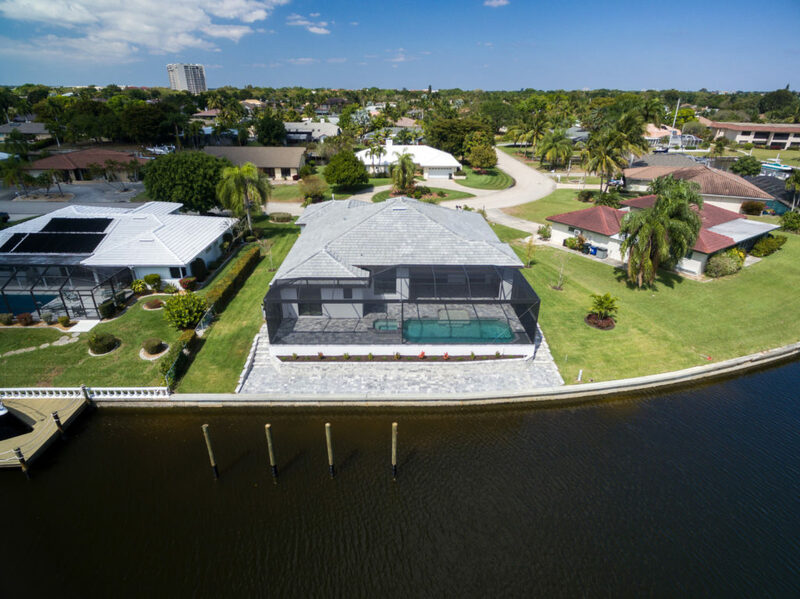 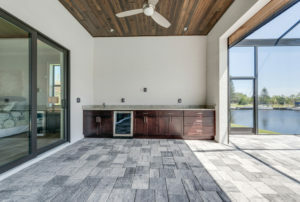 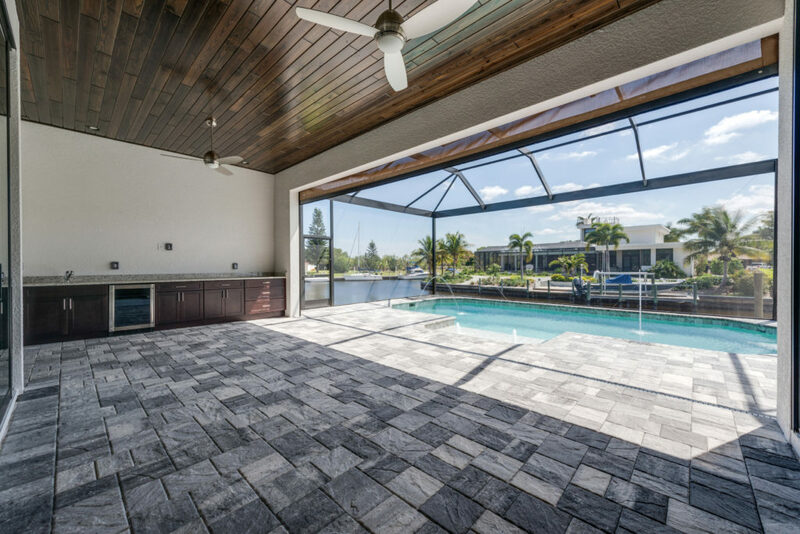 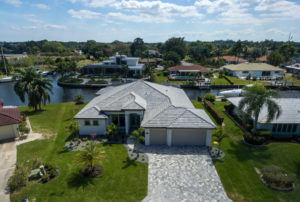 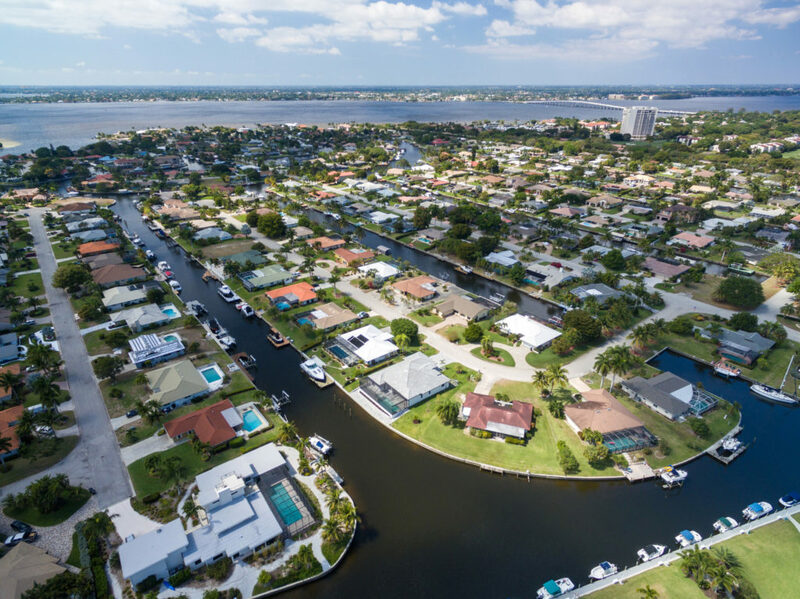 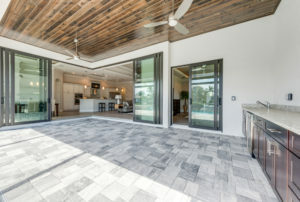 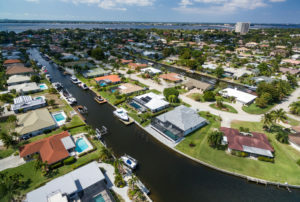 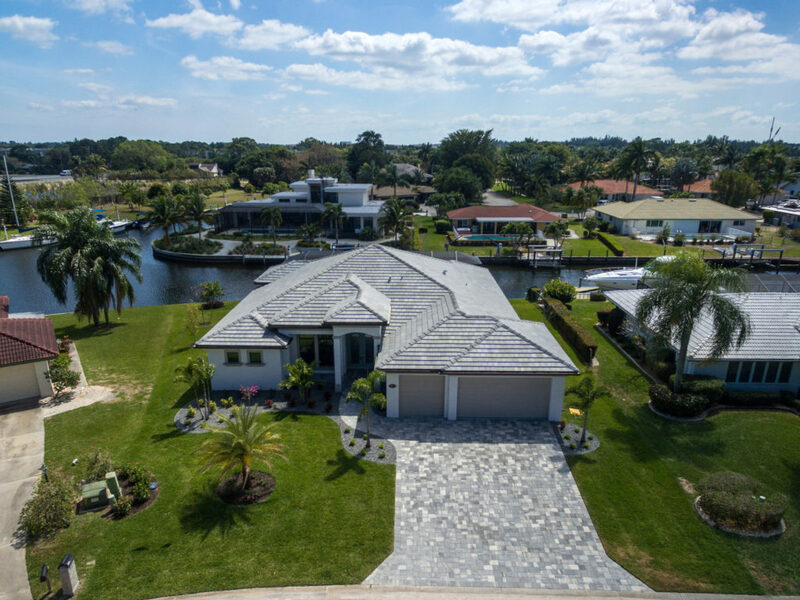 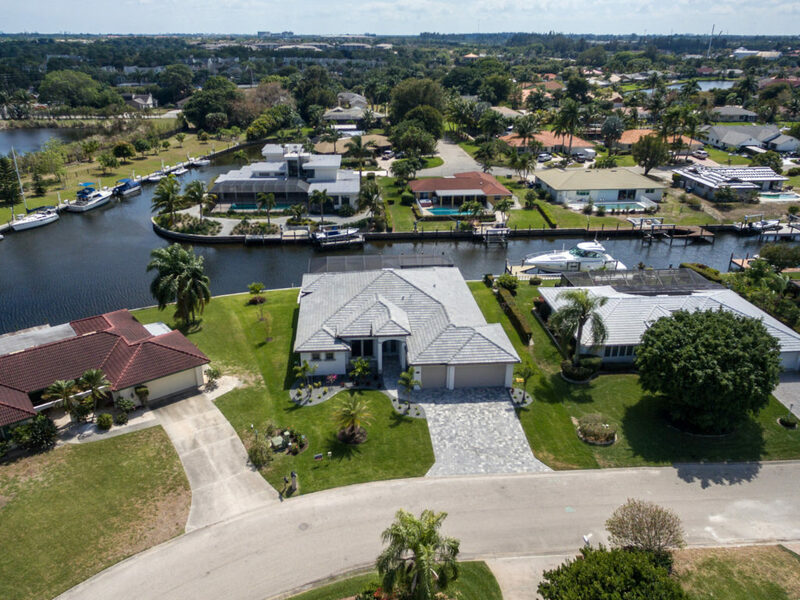 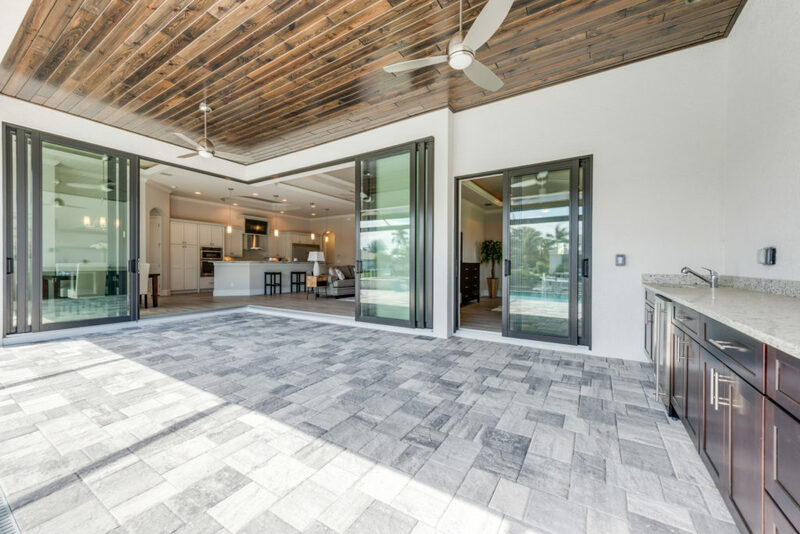 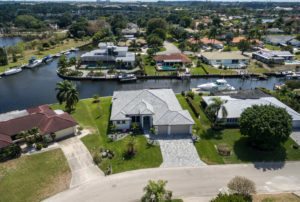 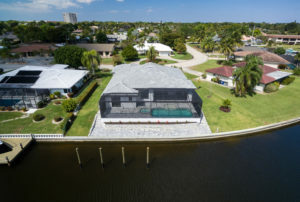 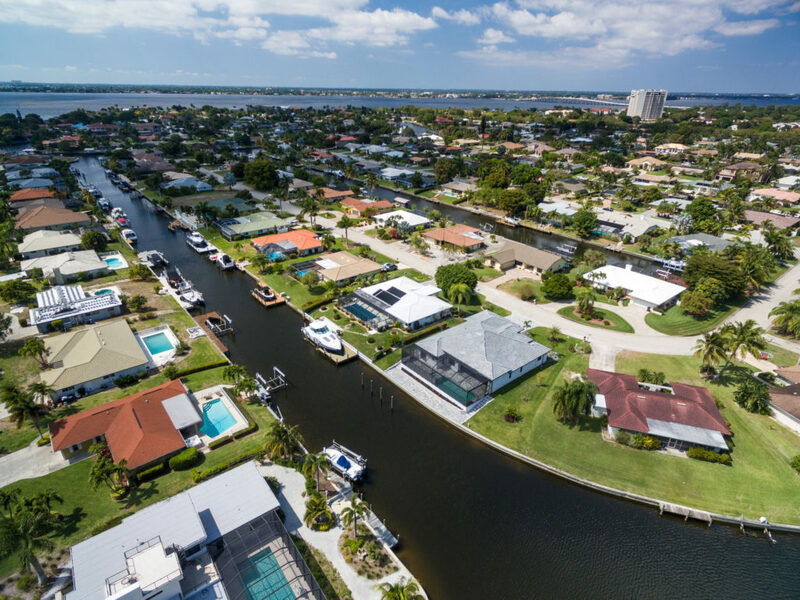 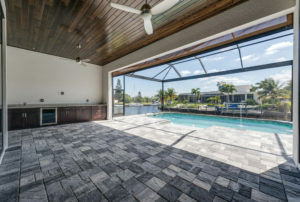 In addition to a generous front porch, driveway pavers and a front door with elegant decor glass, this home is perfect for any waterfront home. 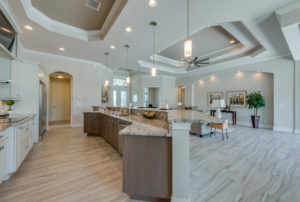 Inside, this home boasts amenities for both the homeowner and guests! The color palette represents sophisticated neutrality with warm gray, beige and cocoa hues, porcelain tiles adorning all common areas. 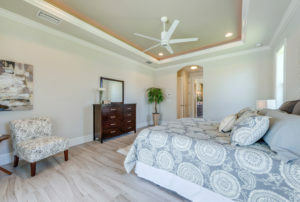 With over sized bedrooms, each guest room has its own private full bathroom. 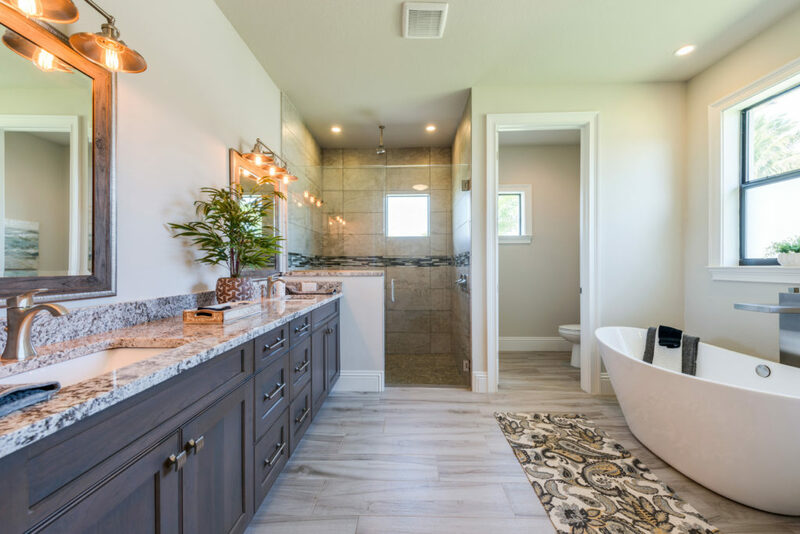 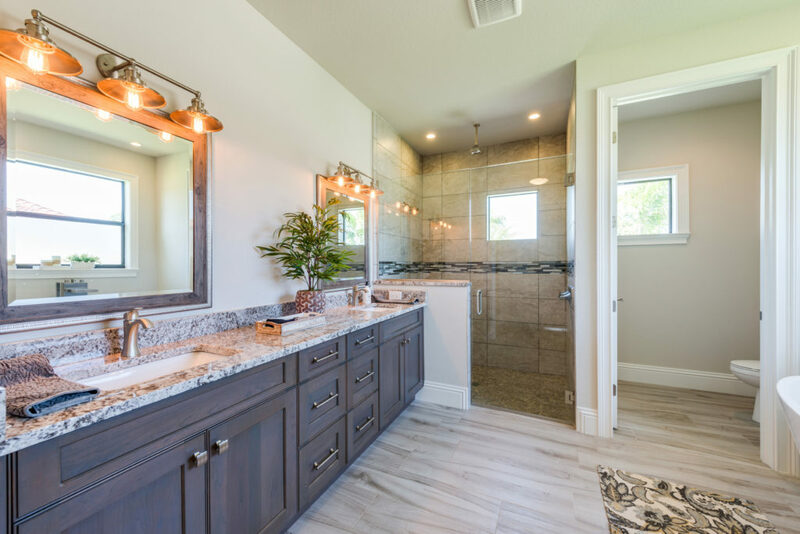 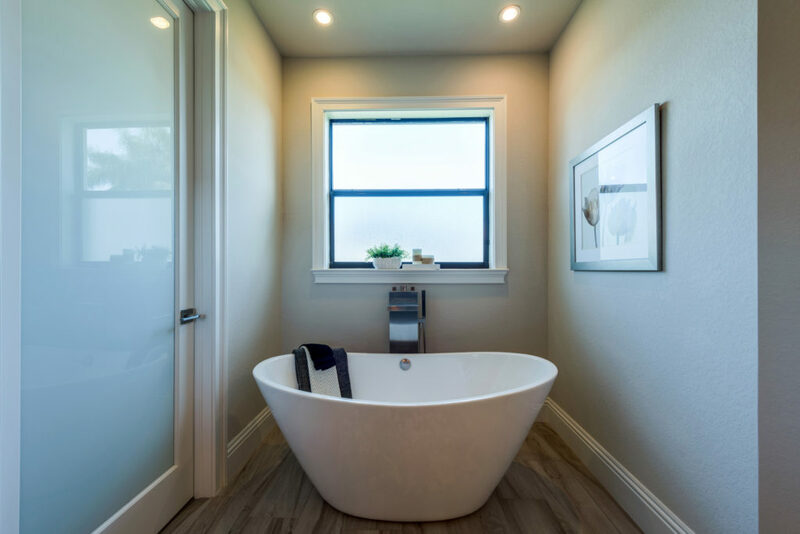 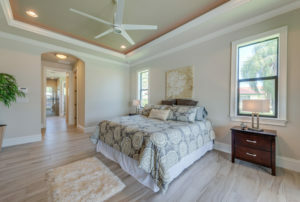 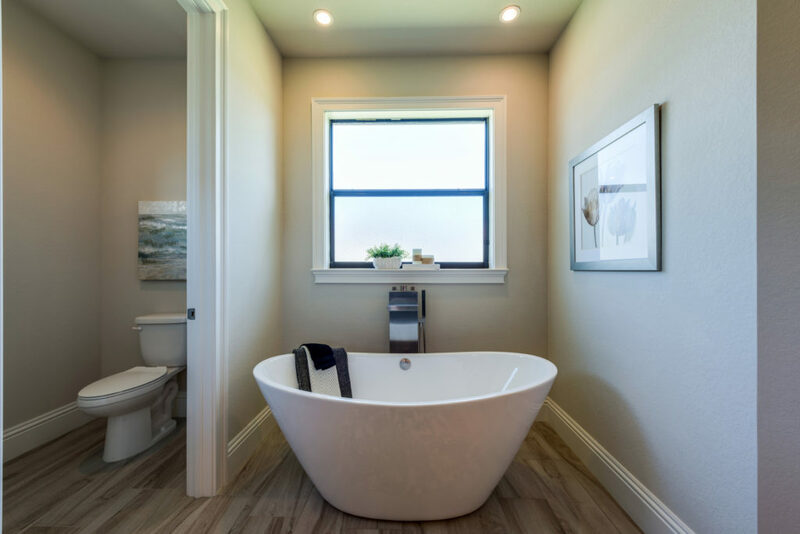 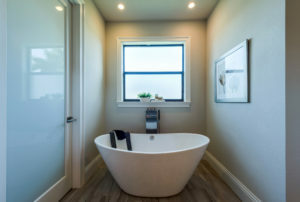 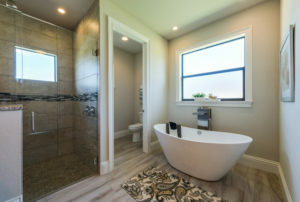 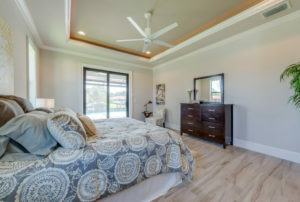 The master suite offers his-and-her walk-in closets, double sinks, a glass shower enclosure, and a decadent stand-alone tub. 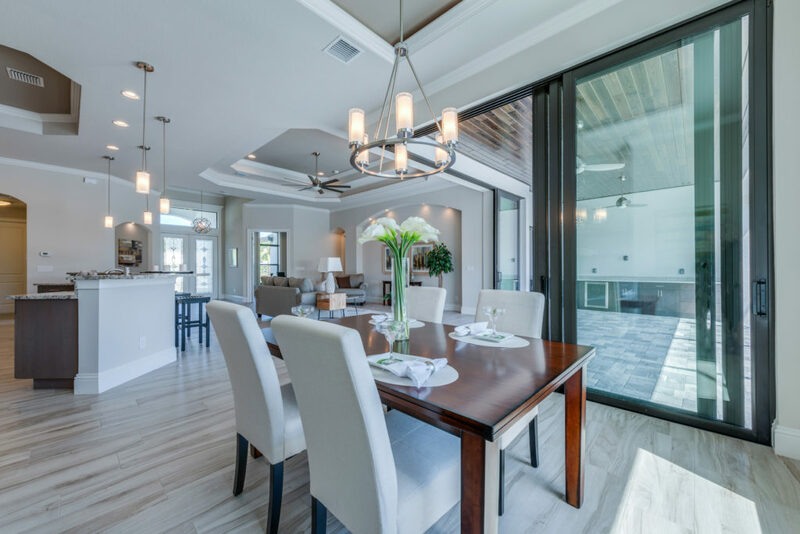 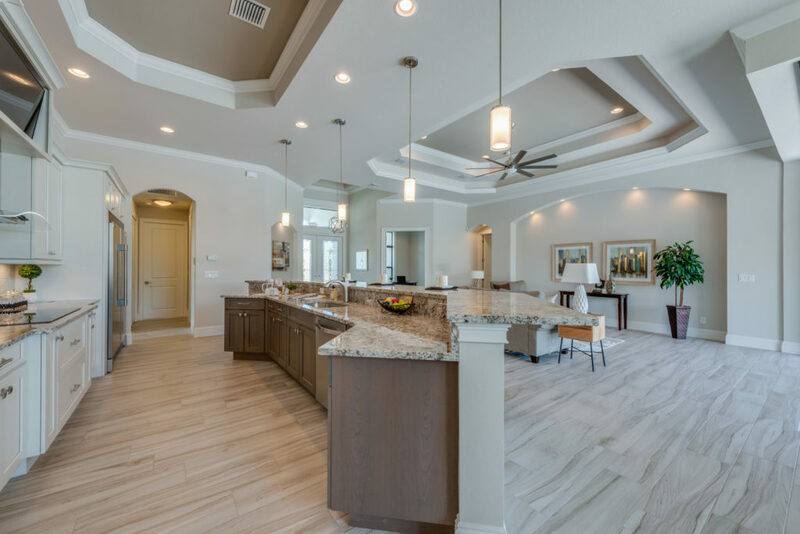 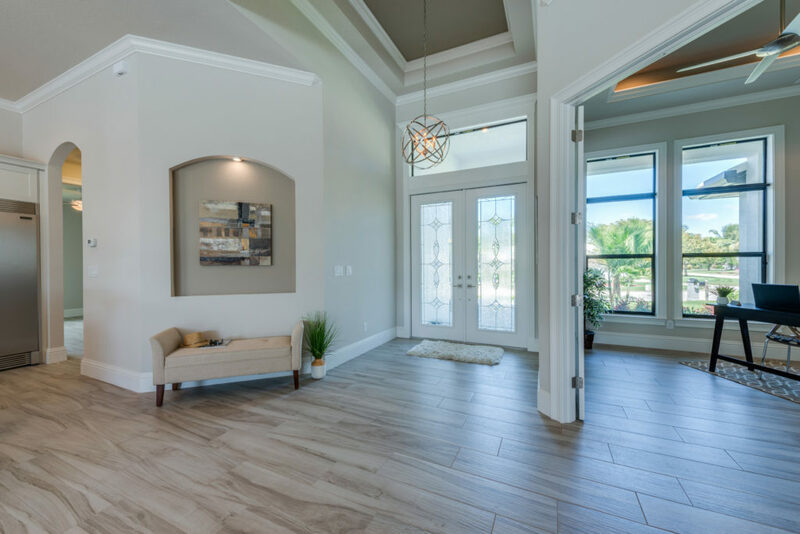 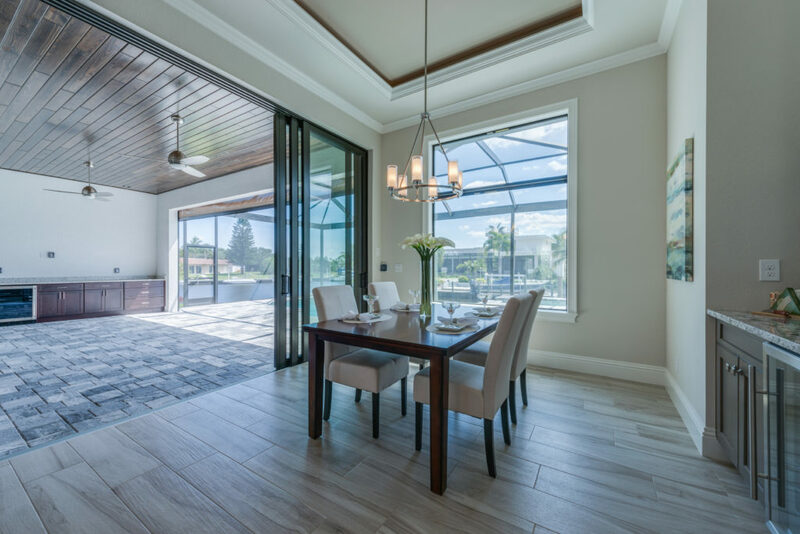 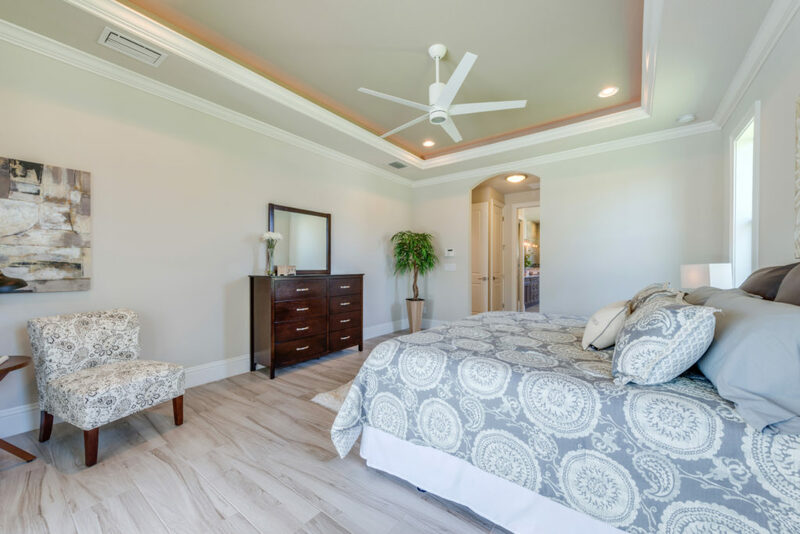 Elegant tray ceilings throughout, 8-foot doors with 7-inch baseboards and crown moldings. 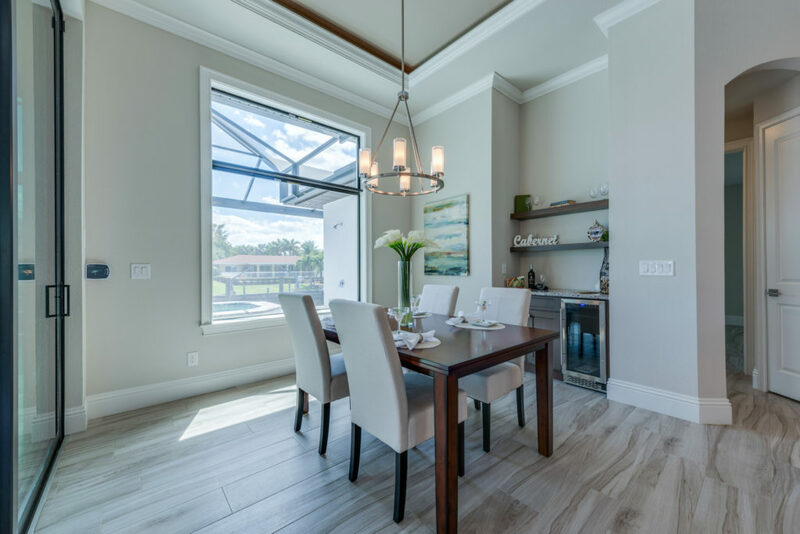 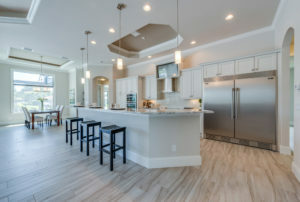 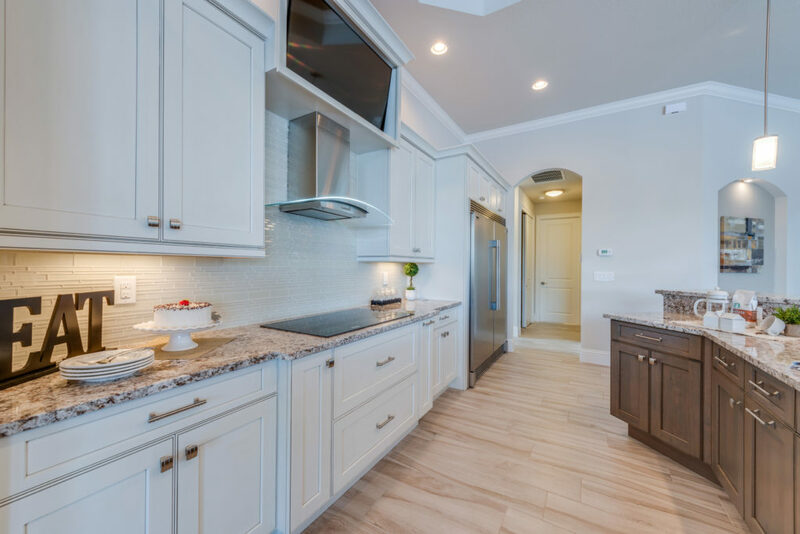 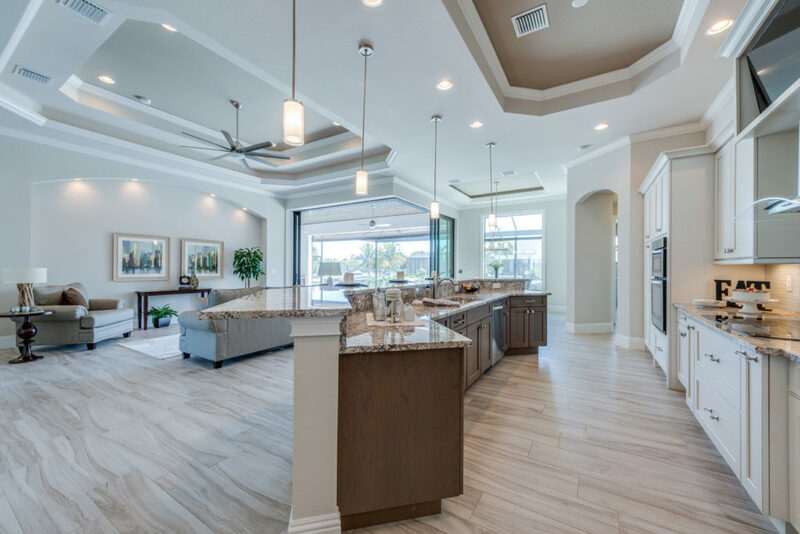 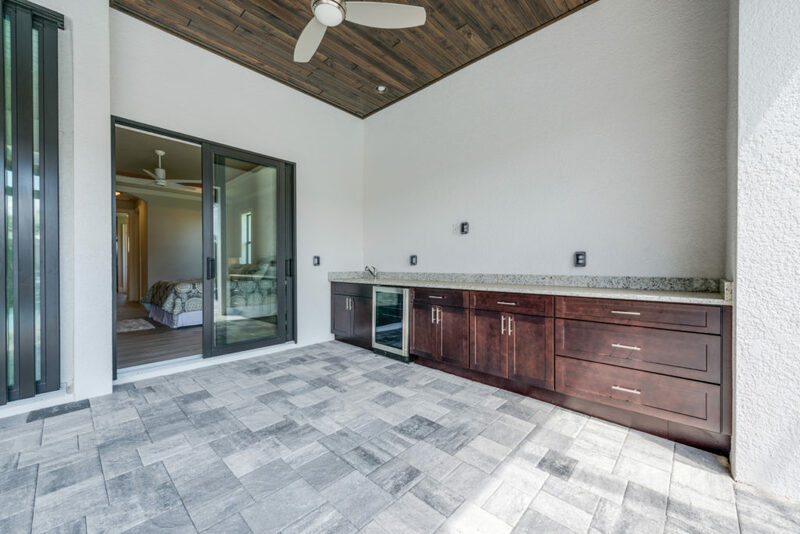 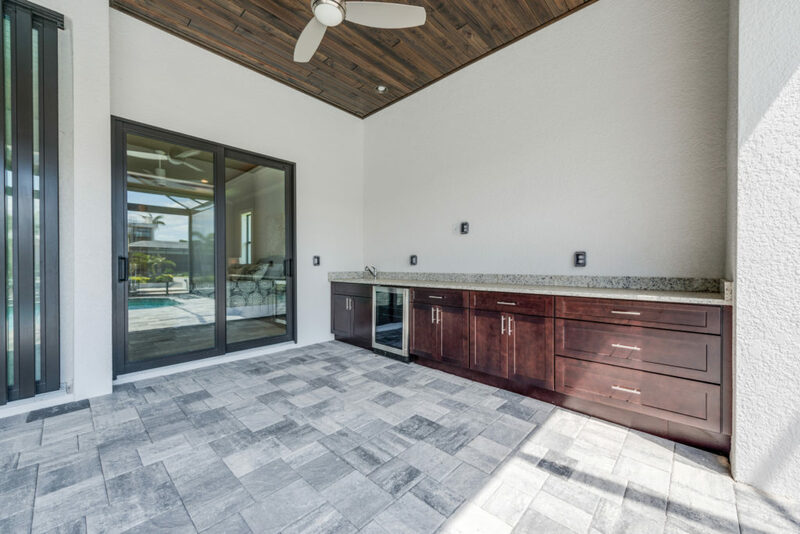 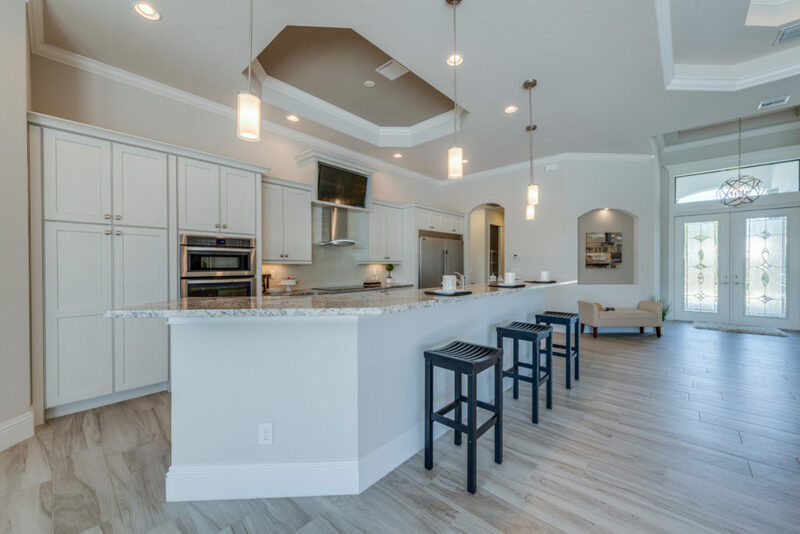 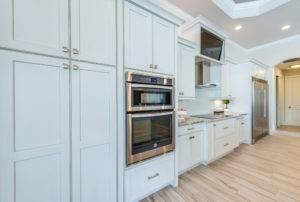 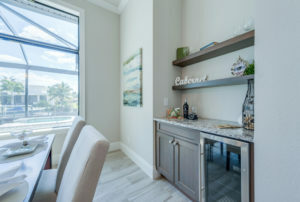 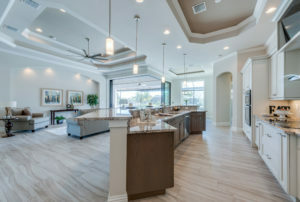 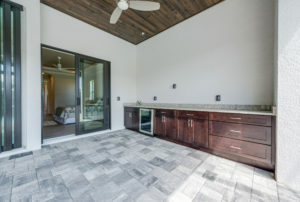 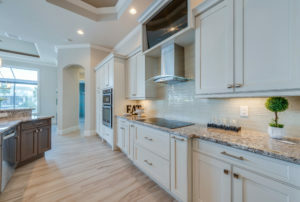 With a central family gathering place in mind, the gourmet kitchen is spacious and roomy, offering a tray ceiling, walk-up bar, stainless steel appliances including a double refrigerator-freezer, and a built-in oven and microwave. 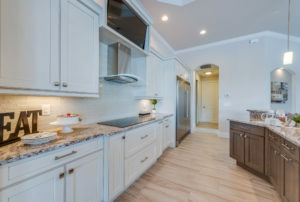 Additionally, the kitchen boasts a television built-in as well.